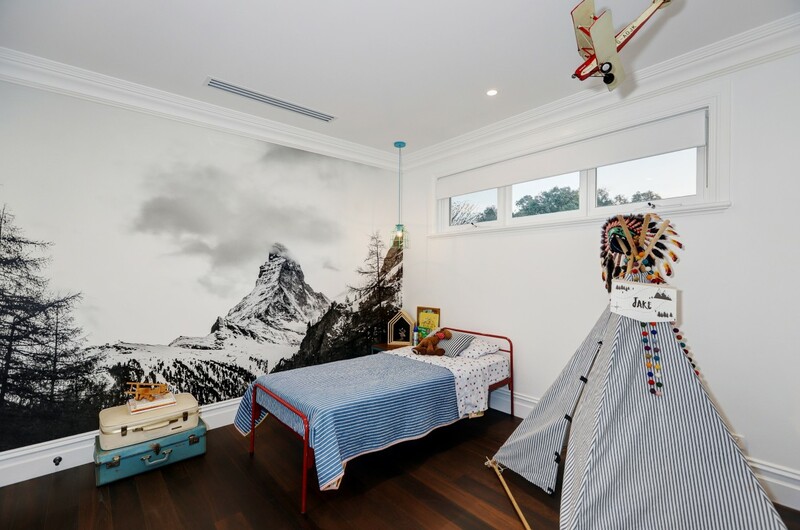 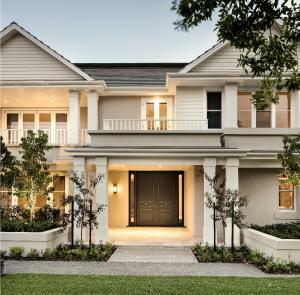 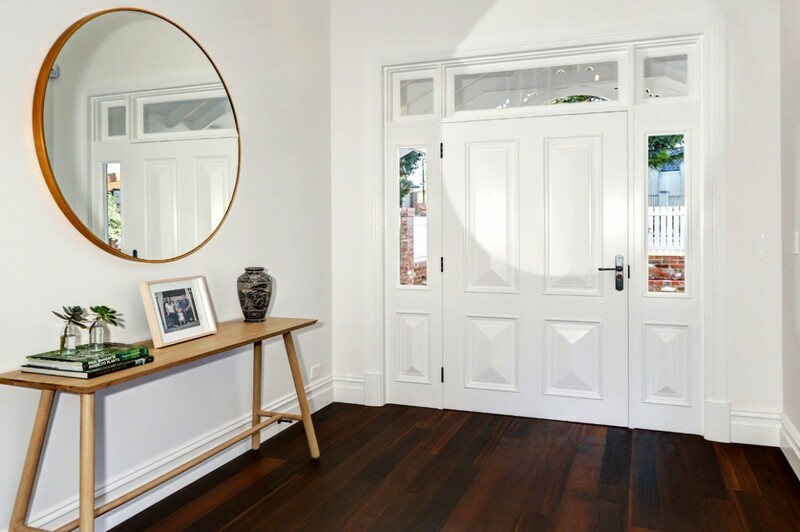 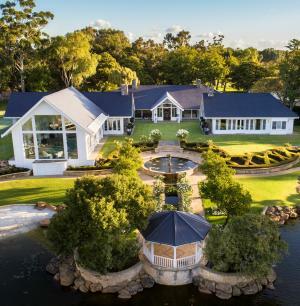 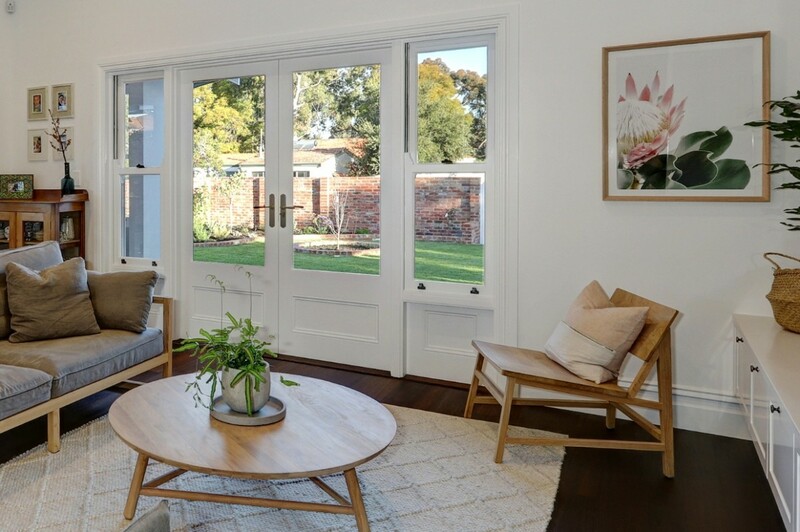 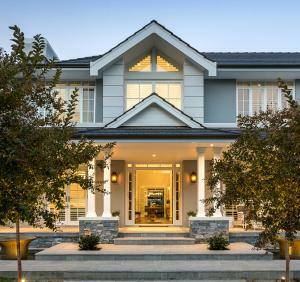 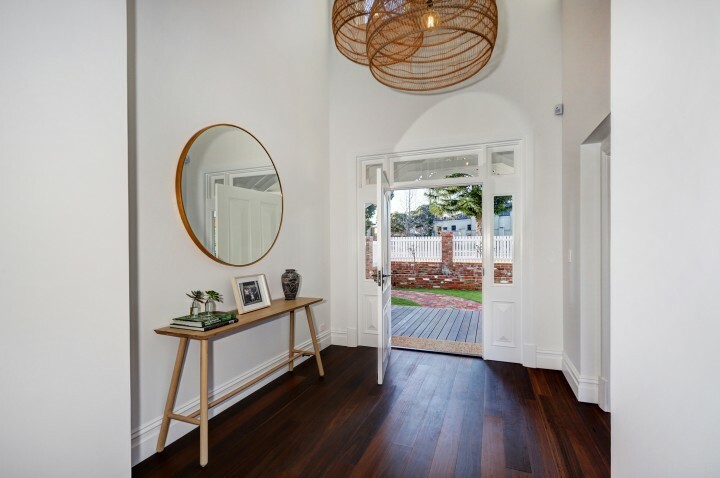 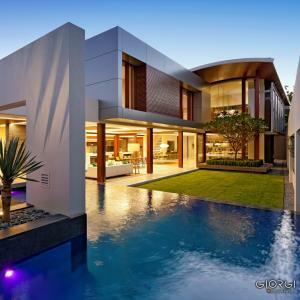 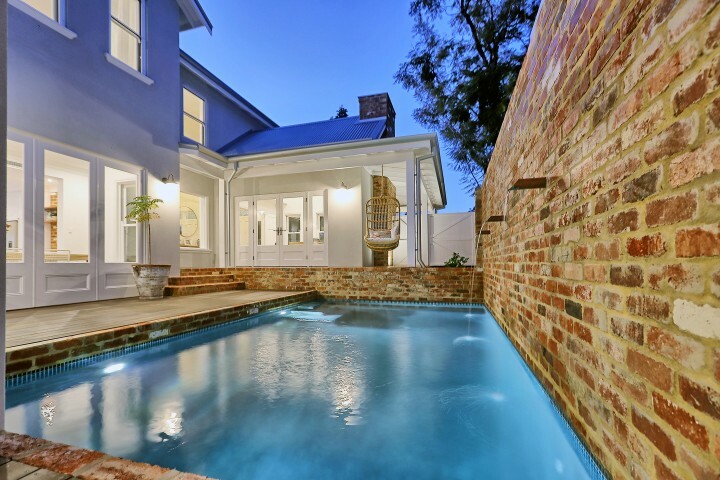 This elegant and restrained residence in Salter Point has been constructed with beautiful attention to detail. 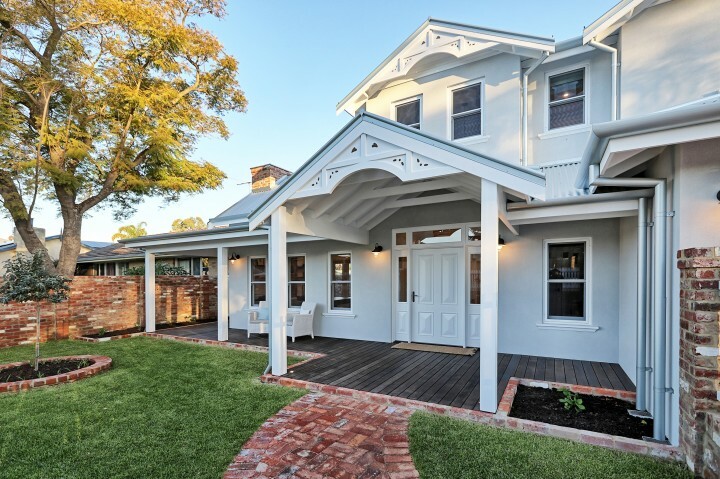 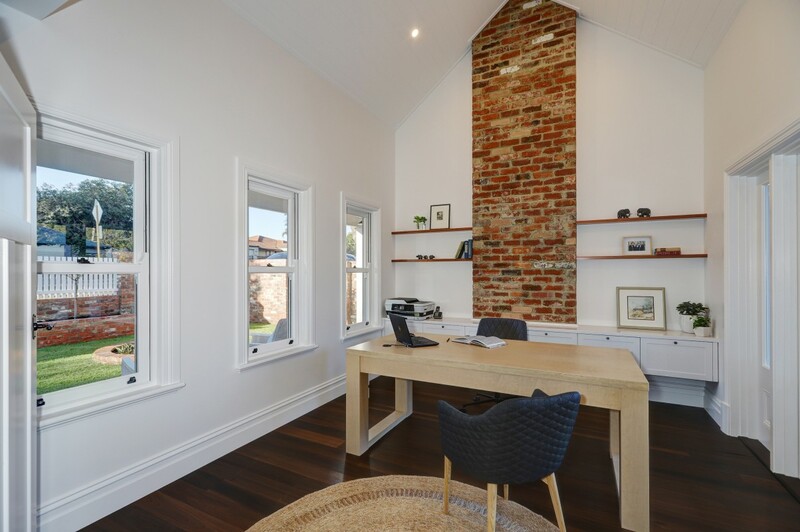 The striking, symmetrical house design features intricate timberwork, classic double-hung windows, crisp white timber doors and recycled brick features. 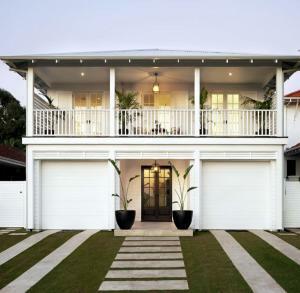 Bright and airy thorughout, many rooms of the home also enjoy views to the resort-style pool. 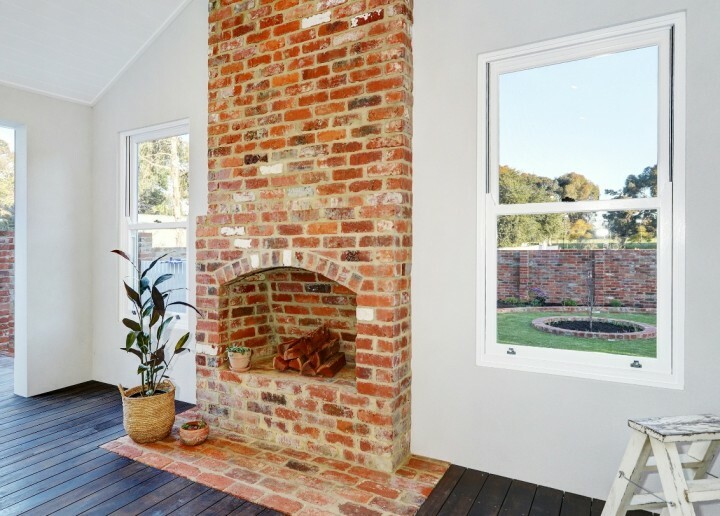 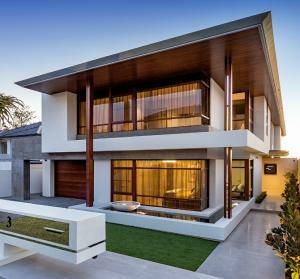 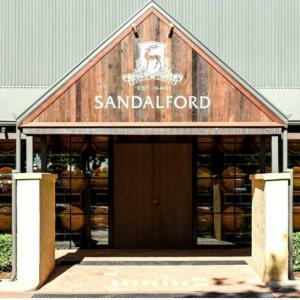 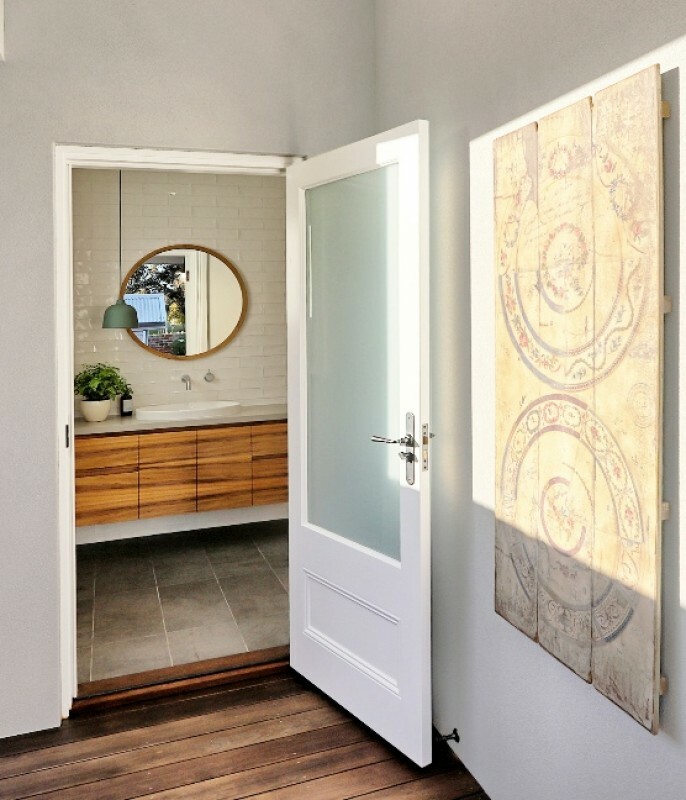 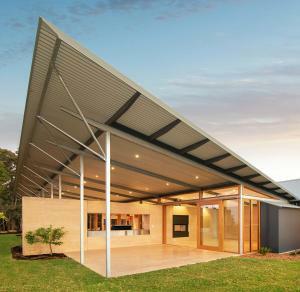 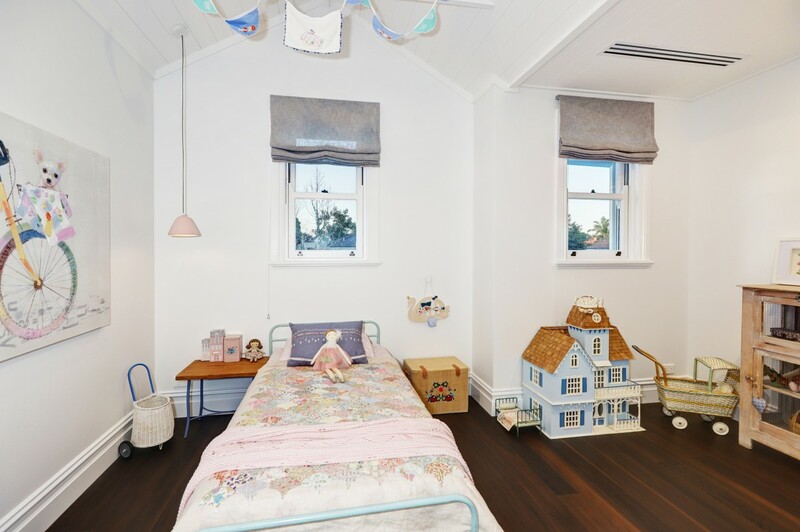 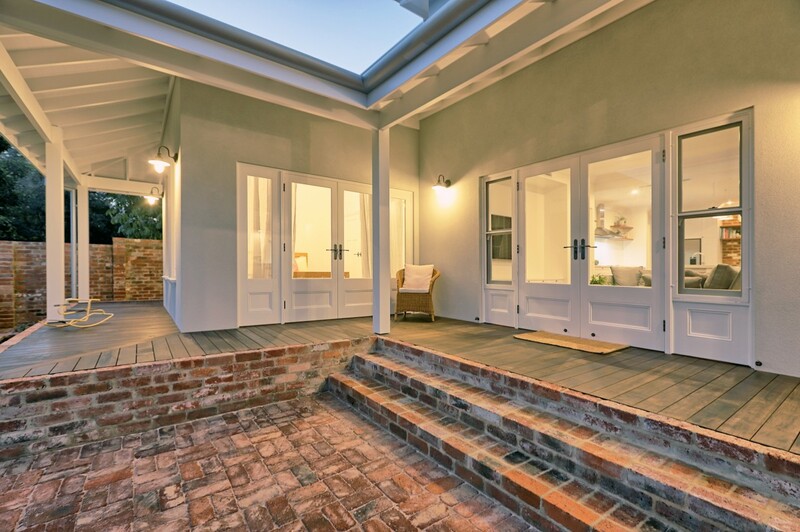 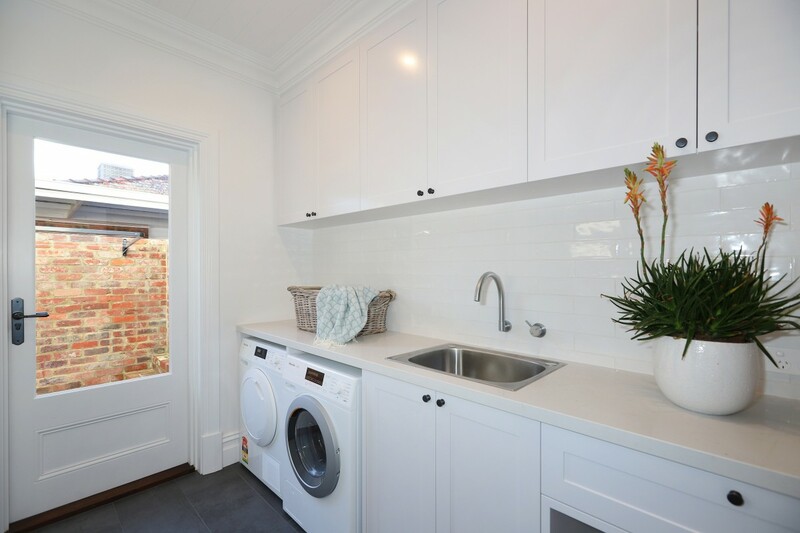 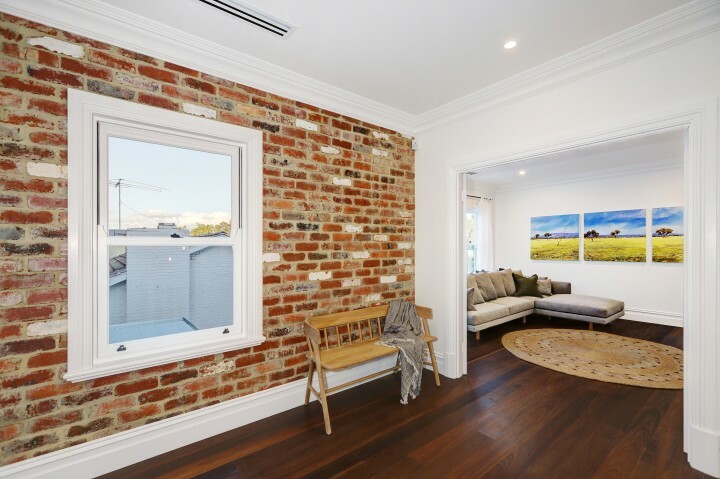 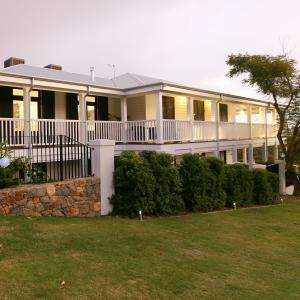 The project was built by Capella Constructions, and features customised solid timber doors and windows by Cedar West.